Magento Review: Is Magento Right for Your Business? Magento is one of the most widely-used ecommerce platforms out there. Used by hundreds of thousands of businesses (including some of the biggest names in retail), Magento is an incredibly mature and effective ecommerce platform. But is Magento right for your business? While Magento clearly has a lot going for it, Magento isn’t for everyone. In fact, it’s lost a lot of market share in recent years to other ecommerce platforms like Shopify or WooCommerce that are a better fit for certain types of ecommerce businesses. In this article, we’re going to help you decide whether or not your ecommerce business should seriously consider using Magento. We’re going to talk about what Magento is, where it really shines and which types of companies are best suited to using Magento. To really understand Magento’s niche in the ecommerce platform market, you need to understand what Magento is and where it came from. Unlike most of its competitors, Magento is an open-source ecommerce platform. If you’re not familiar with how open-source software works, think of it like this: Magento is like a restaurant that publishes its recipes (ie, software code) online for free. With the right skills and know-how, any decent cook (or developer) can create their own variations that meet their particular tastes and needs. The recipe is the same, but the details are all up to you. 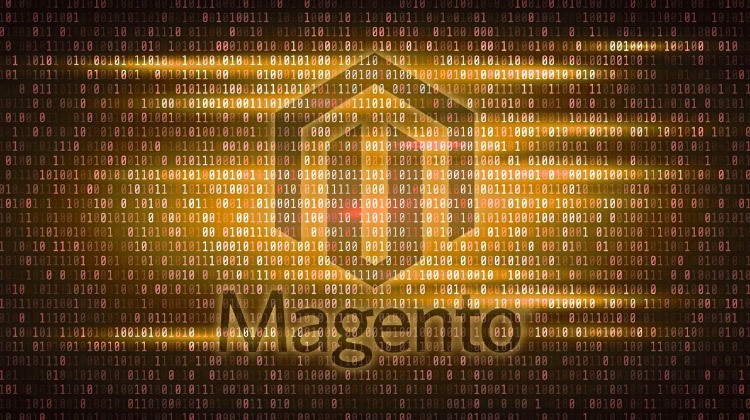 Whether it’s Magento or some other digital platform, open-source software is a lifesaver for many businesses because it saves them the trouble of having to create everything from the ground up. They can tweak what needs to be changed and trust that everything else will run the way its supposed to. In addition, open-source software is essentially crowd-sourced software. Most ecommerce platforms can only really be improved on by the companies that are developing them. Magento’s code is available to anyone in the world, so clever developers in the community are constantly coming up with new tweaks or fixes that are often integrated in platform updates by Magento. Because open-source software is designed by developers for developers, most open-source software isn’t very user-friendly for, well, non-developers. Magento is no exception. 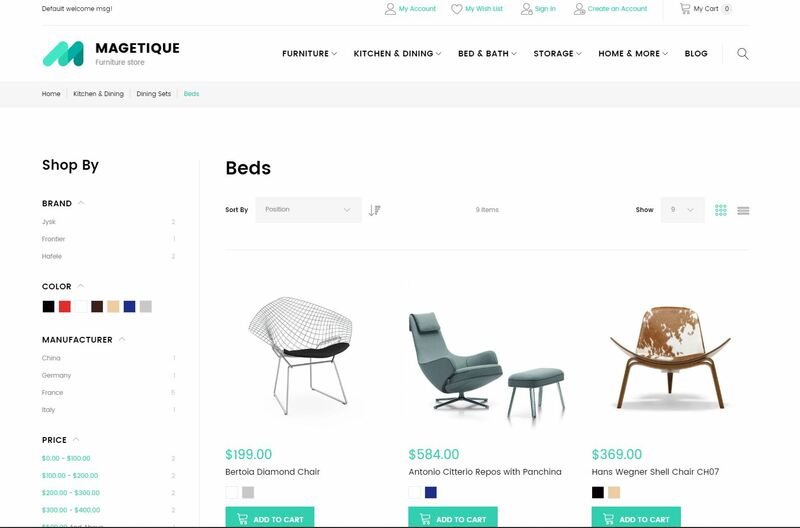 It might offer more features and extensions than any other ecommerce platform, but if you don’t have some real technical expertise on hand, you’ll struggle just to create and launch an ecommerce store. Even if you hire a developer, if they aren’t familiar with the Magento platform and all the little tweaks the platform needs to be truly effective, you may still find Magento to be a less-than-inspiring ecommerce platform. In addition, to use Magento, you’ll need to install and run it locally, which usually means you’ll need your own server to use Magento. Again, for someone with decent technical expertise, this isn’t a big deal, but for a non-technical user, this can be a huge headache. To make things easier, Magento does offer a paid “Magento Commerce” plan where they help you set up, host and maintain your store. However, since you’re basically hiring a part-time developer, you can expect to pay thousands of dollars a month for this service. The good news is, unlike some ecommerce platforms, Magento knows exactly what it is and where it shines. Magento works best if you fall into one of two groups: 1) established retailers or 2) small business owners with intermediate technical expertise. Let’s take a look at each of these categories and how each of these types of businesses can make the most of Magento. By now, it’s probably become clear that Magento’s primary target market is well-established retail companies. Most new-to-small ecommerce businesses simply don’t have the technical expertise or revenue to support hiring a developer. These businesses are much better off with a cheaper, more user-friendly platform like Shopify. Well-established retailers, however, usually have both the desire and the means to create the kind of custom online shopping experience Magento can provide. If your business falls into this category, you’re probably hiring a developer or development team to create the website of your dreams. Magento can make that happen, but as you create your website, it’s important to focus on creating a shopping experience that your customers will love. One problem many Magento stores struggle with is too many diversions. Diversions are anything that has the potential to distract your user from reaching their destination. Whether you’re in the driver’s seat or an office chair, anxiety is ne]ver a good thing. Unfortunately, when it comes to your site, people are already in a state of high alert. Anything that adds to their stress level (clicking on something that isn’t clickable, feeling confused or swindled) may lead to you losing a customer. 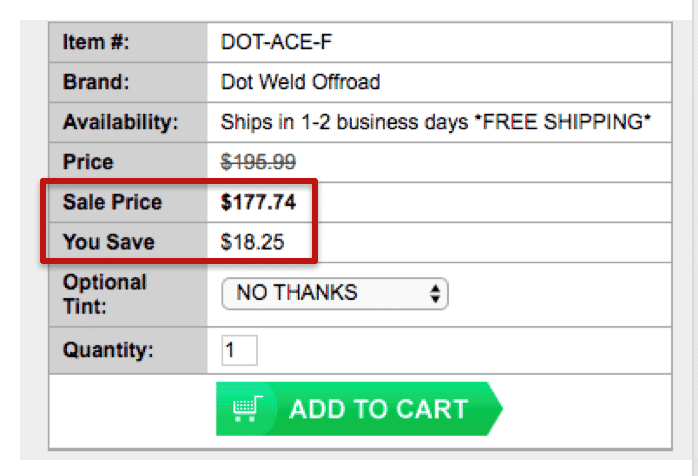 Any good retailer knows that discounts sell product. 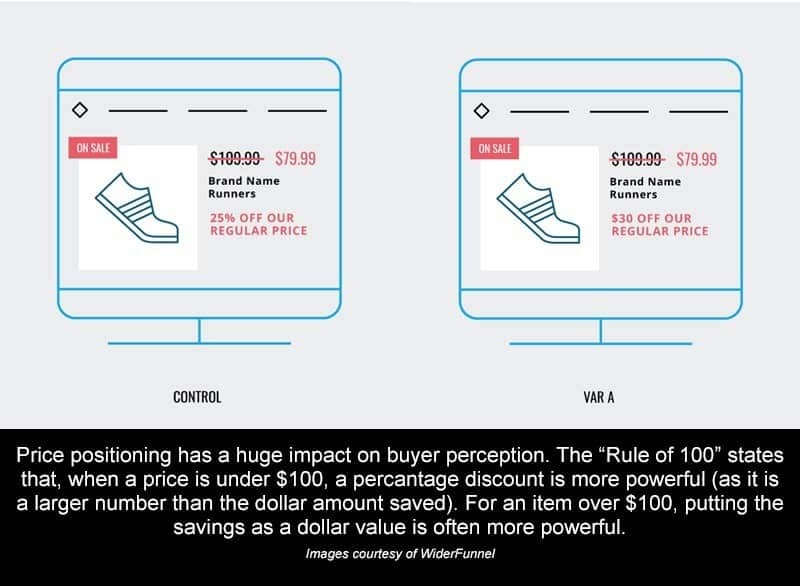 As you put together your discounts, remember, purchase decisions are often not made based on the actual discount you give—they’re based on how your discount is perceived. So, even if the final price is the same, if your potential customers believe that your offer is better, they’ll pick you over the competition. To get the most out of your discounts, all you have to do is remember one simple truth: people don’t like math. Even if you have the resources to build the Magento store of your dreams, every ecommerce business should be constantly testing their site to improve their user experience. 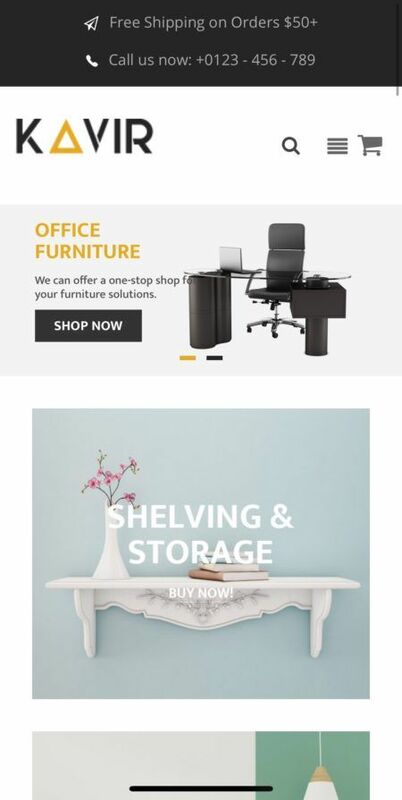 As we just mentioned, even small changes can have a big impact on your sales, so if you’re going to invest in creating a great store with Magento, you should also invest in site testing (if you’d like us to help you test your site, let me know here!). 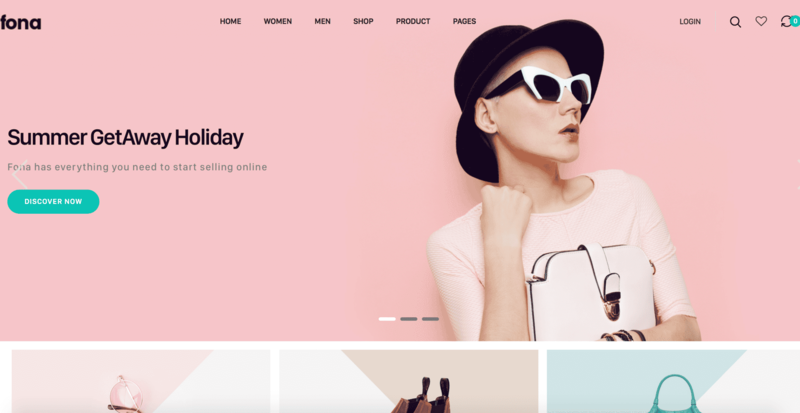 If you’re handy with code and a keyboard (or have ready access to someone who is) and want to set up a great, cheap online store, Magento can be a fantastic option. Magento Open-Source is free and gives you complete control of your site. By tapping into Magento’s extensive online community, you can find countless free and paid extensions and themes to customize and enhance your website. 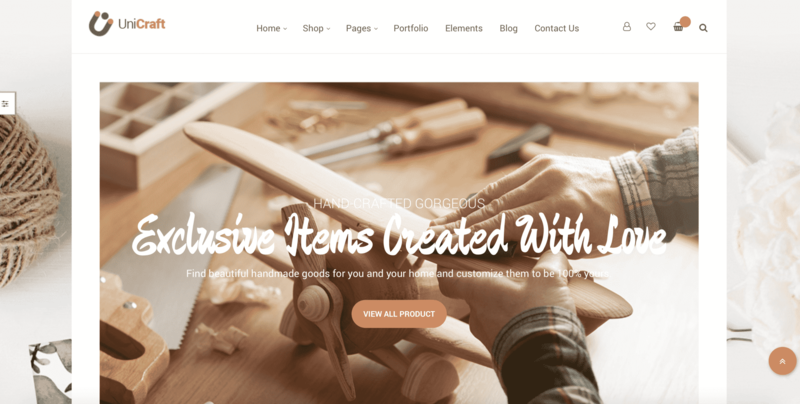 Since you probably can’t afford to pay a designer and developer thousands of dollars to custom-create the look of your site, you’ll probably want to pick a pre-made Magento theme that is already fairly close to what you need. You can search for Magento themes on the Magento marketplace or on a third-party site like Themeforest. Smaller banners let you move from vanity to salesmanship fast. 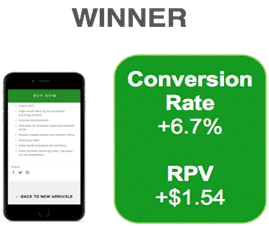 In our site testing, we’ve found that this means more sales for your business. 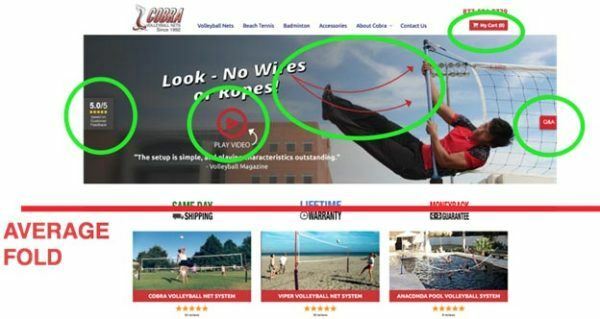 There’s a temptation to want to pick a theme that will really feature your logo, but remember, your site is about creating a user-friendly experience, not just promoting your brand. Of course, some templates make the search bar easy to find on desktop and then bury it inside the menu on mobile, so keep an eye on that as you pick your theme. Fona is actually a pretty customizable template, so the author has created a lot of visual contrast between the text and the image in this particular screenshot, but just imagine what it would look like if the image was dark! Overall, while you can work around “ghost” buttons in your final design, you’ll want to be aware of whether or not your theme has ghost buttons and make sure that your banner buttons are clearly visible at all times. 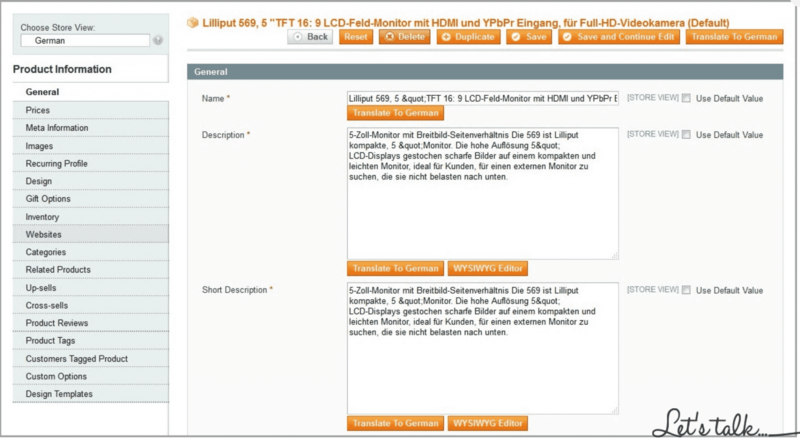 Most of the fields on your product pages are fairly straightforward. 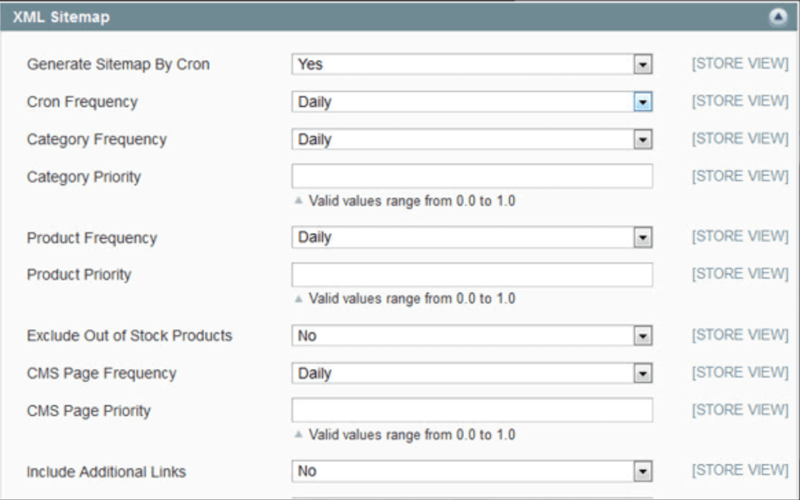 You should be able to complete these fields using the information in your product catalog. However, getting your title, description and images right can have a huge impact on the success or failure of your store. 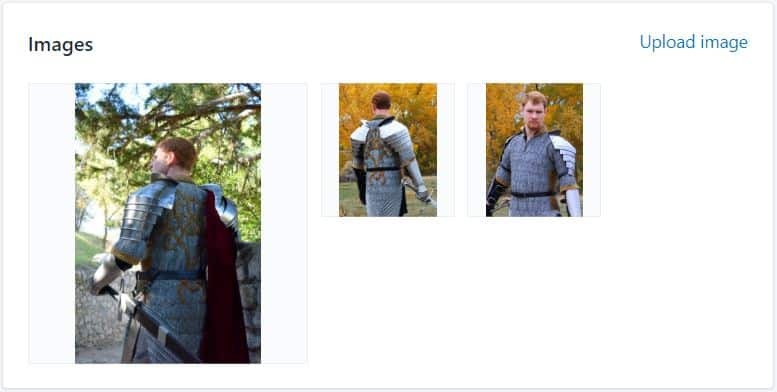 Outside of work, I create and collect costumes, so let’s use a pair of pauldrons (medieval shoulder armor) to discuss how to effectively complete these fields. If photography isn’t your thing, many products come with high-quality photos from the manufacturer. If that isn’t the case (or you think custom photos will sell better), consider hiring a professional photographer to help you out. – Quality. Lower numbers = lower image quality and lower file size. – File format. In terms of file size, JPEG < GIF < PNG. But, the same rule applies to image quality. – Optimization. 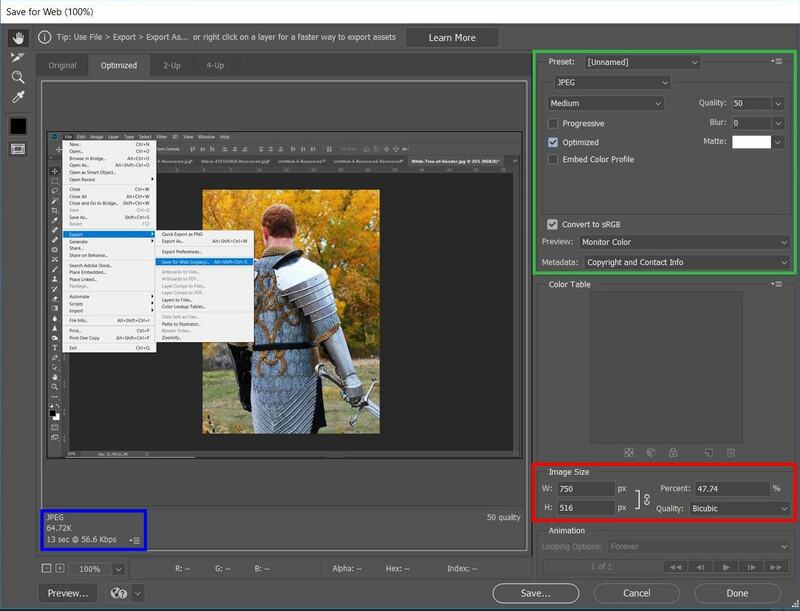 Checking the box tells Photoshop to optimize your image for web use (decreases image size). – Color. Fewer colors = lower image quality and lower file size. – Image size. 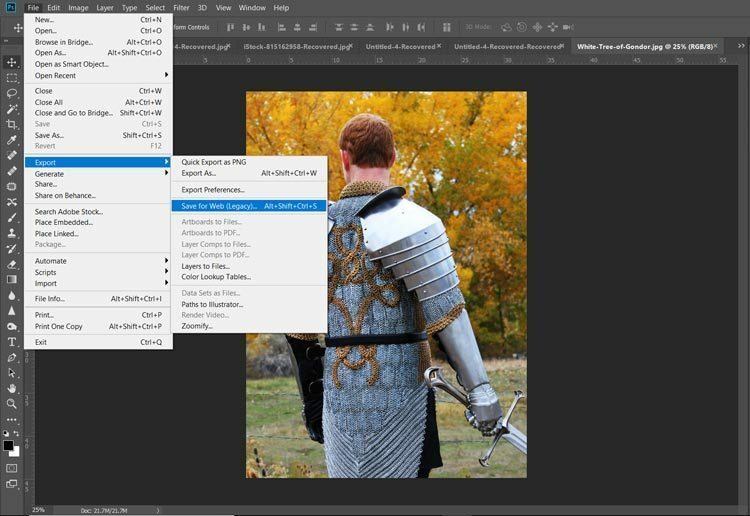 Allows you to choose the actual number of pixels in your image. Fewer pixels = smaller image and lower file size. Keep in mind that if you save an image at smaller size than it will be shown on your page, your image may be stretched to fit your page, resulting in heavy pixelation and/or image distortion. There are plenty of benefits to having a mobile app for your store, especially since it can help increase sales. With MageMob’s Mobile App Builder, you don’t have to spend thousands of dollars to have one created. 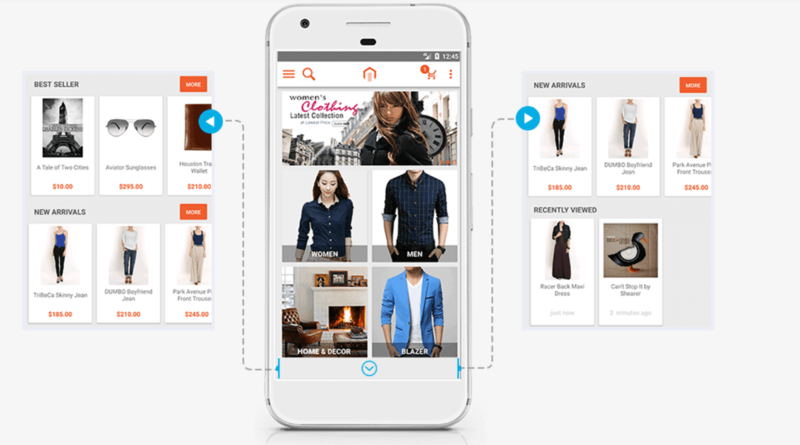 If you want or need a mobile shopping app for your store, MageMob can help you create one quickly and affordably. It allows you to showcase your products on various types of blocks and it even has advanced features like showing customers recently-viewed products to help increase conversions. Search engine optimization is important for all businesses and SEO Hub is an incredible extension to help you improve your search engine rankings. 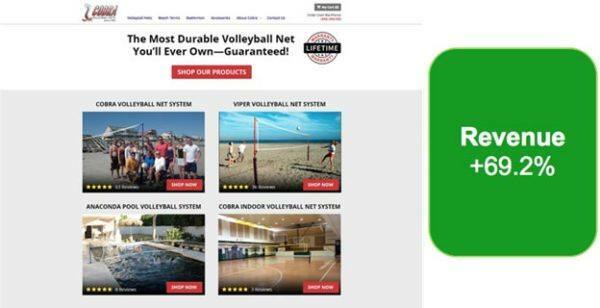 Ecommerce has done incredible things for business owners—we can now sell our products to anyone anywhere in the world. That’s great in and of itself, but overcoming language barriers can be a huge problem for many international businesses. Enter Magento Language Translator. This extension automatically translates your pages, product details, and even product attributes into the languages of your choice. As a result, you will be able to reach a larger audience much more effectively and potentially sell a lot more product. Sales tax is a nightmare to keep up with. Using extensions and tools to help is the only way to make sure you don’t end up in a world of hurt by not charging the right amount of sales tax. TaxJar’s Sales Tax Automator is a simple but highly effective solution to this problem. It automates tax charging, filing, and calculation. Not only will you be able to automatically charge the right amount of taxes to your customers, you’ll also be able to easily sort them by state or zip code and file them appropriately. 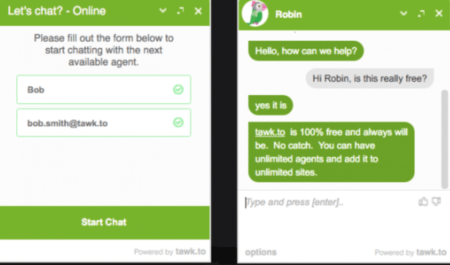 Tawk.to Live Chat is a great free Magento extension that gives you this ability. It allows you to provide real-time customer support with a simple, user-friendly interface. To make things even better, you can collect a customer’s name and email when you start the chat, so if you get disconnected, you can follow up. Social media is an important part of a lot of ecommerce businesses’ marketing strategy, so being able to fully integrate your social media with your ecommerce storefront is important. That’s where Apptrian’s Social Integrator comes into play. With Apptrian, you can add the social buttons of your choice to your site in a variety of different locations, including Follow buttons for LinkedIn, Instagram, Google+, Twitter, Facebook, and more. Again, simple idea, but so important, and this extension gives you a lot of customization options and control. 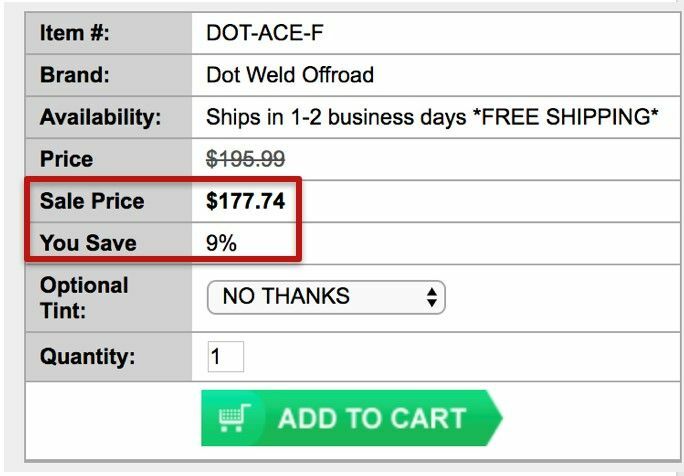 Abandoned carts are a huge source of lost revenue…especially if you don’t follow up. 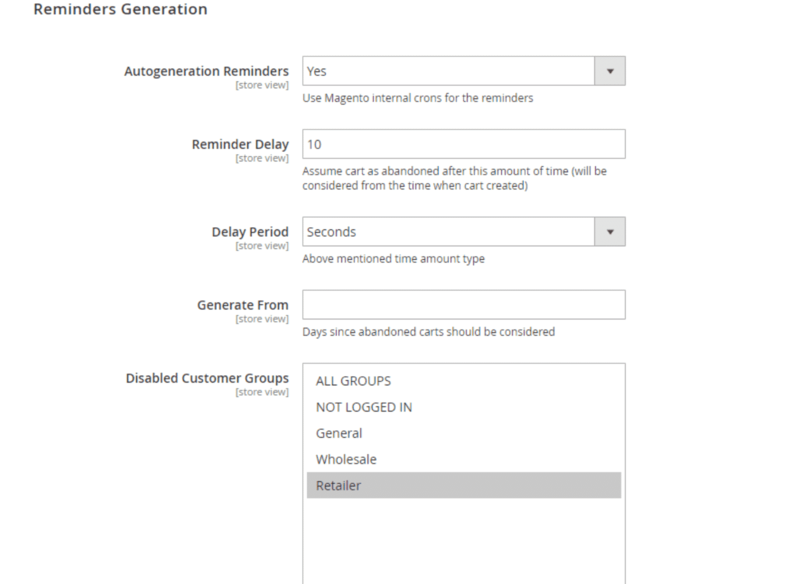 Magewares Abandoned Cart Email Extension can automate the follow up process for you, sending triggered response emails after a designated period to remind users that they left something in their cart. This extension is fully customizable and you can choose how many follow ups customers receive, when they get them, and so much more. Gift cards are good for businesses. In addition to putting money in your pocket today, users also have a tendency to spend more than the gift card in order to ensure they get the full value, so gift cards also often mean more money in the future. 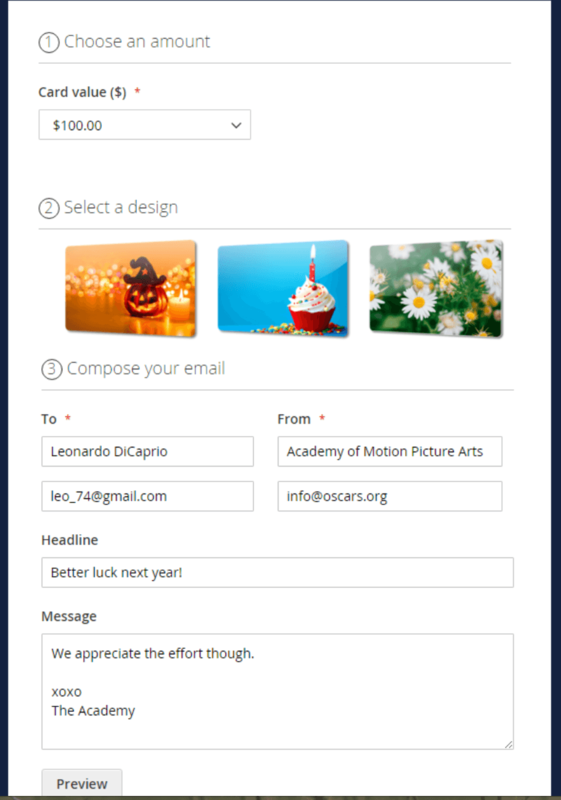 The Gift Card extension will help you give this option to your customers. It’s a simple extension and not a lot of information is necessary here. It has a great, user-friendly interface that lets customers send digital gift cards along with messages, pre-selected or custom card values, and pre-set images. As you can see, although Magento isn’t designed for technical novices, if you have some technical expertise, putting together a Magento store isn’t terribly difficult. If you expect your store to really grow in the future, this can be a great way to set yourself up for future success—especially if you’re testing your store design along the way. So, what’s the verdict? We’ve taken a look at what Magento is, where it shines, who it’s right for and how to make the most of your Magento store. To put it simply, if you don’t have a lot of technical know-how or the money to hire someone who does, Magento isn’t for you. If, however, you have solid development resources on hand or can afford to pay Magento’s premiums, Magento can be a solid option for a large-to-enterprise class retailer. That being said, putting together a beautiful, functional store is just the beginning. 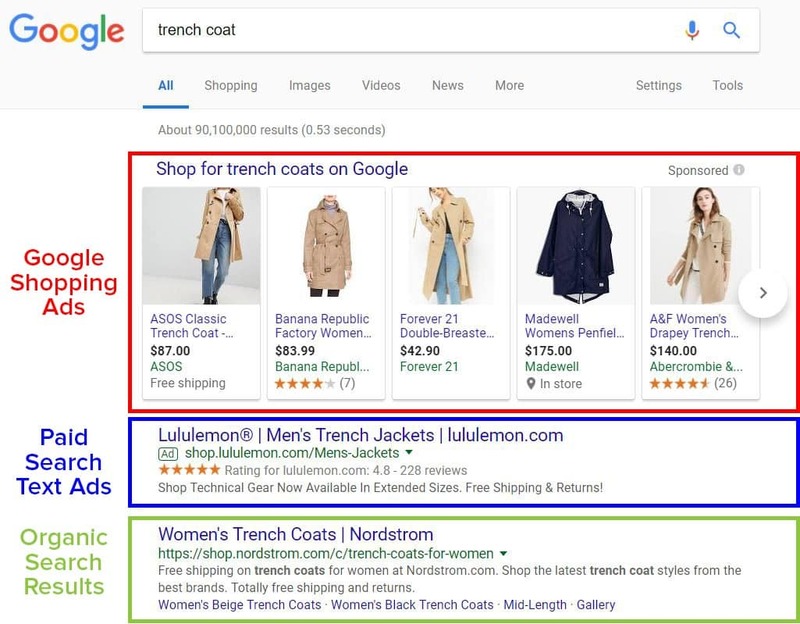 To really get the most out of your ecommerce site, you’ll need to market your store, optimize it for maximum conversions and sales and much, much more. Finally, remember, whether you choose Magento or a more user-friendly option like Shopify, the key to ecommerce success is site testing. If you’d like some help testing your site, let me know here or in the comments. We’d love to help! How do you feel about Magento? What has your experience with this ecommerce platform been like? Anything you’d add to this article? Leave your thoughts in the comments! As a web developer, I am using Woocommerce for e-stores, but I’m quite curious about Magento and the options it has. It is no doubt that Magento is the most widely used eCommerce platform due to its robust features. As Magento is open source; it is the standard that most new larger SME prefers to choose Magento for eCommerce web development. Moreover, Top Magento extensions increase the functionalities of Magento store and give the winning customer experience. because of the these all reasons that have been mentioned in the blogs Magento is recognized as the best free Ecommerce platform.